The Best CRM Blog: CRM Tips: How to Deliver Laudable Customer Service in Insurance? 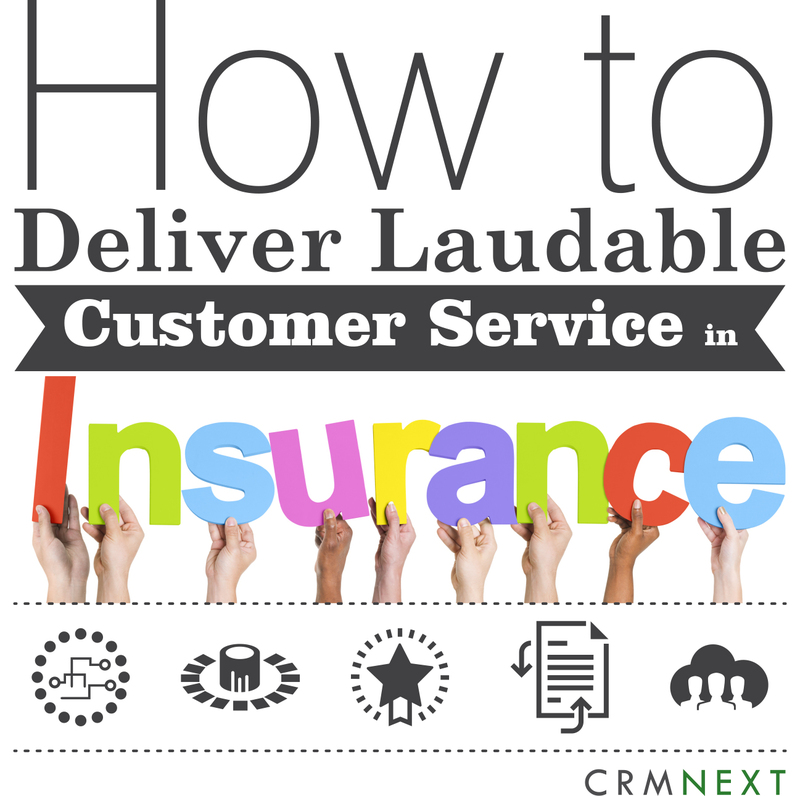 CRM Tips: How to Deliver Laudable Customer Service in Insurance? Customer service is that key that can open doors to customer loyalty for an insurer. CRM in insurance helps to make servicing more customer-centric. But for that to happen, you need to go beyond simplistic policies and provide delightful offerings with the help of technology. So, how can you deliver laudable customer service in Insurance? Read on to find out. differentiator. And insurance CRM ensures that they don't go 'out of sight', which is a precursor to being 'out of mind'. Use data garnered from different online and offline sources including social, web aggregators, campaigns or branch visits, you can easily segment customers based on different parameters like demographics, income, geography, buying motivators etc. Then using smart cross sell modelers that analyses purchase frequency and other variables, you can even relevantly increase sales, thus building life long relationships. Rewards and loyalty go hand in hand. Deploy a feasible rewards program that combines technology for greater ease and reach. Offer periodic free health check ups and reward regular premiums with exclusive discounts. App based redemption can allow customers to redeem points anywhere. Going digital for policy renewals will reduce delays and deliver instant fulfillment. And with added government push for cashless economies, it will be added benefit for both the insurance providers and consumers. CRM for insurance acts as a great enabler for facilitating reminders, alerts etc. for policy renewals. The concept of virtual offices is a continuation of mobile first philosophy. These online insurance offices will be capable of handling daily work activities like issuing policies, renewals and settlement of claims. Customer service will no longer be dependent on manual submission of forms at branches. Focus on personalized interactions coupled with digital offerings is a winning combination to deliver delightful customer service. And in turn win the grandest prize of resilient customer loyalty through insurance CRM.